Worrying About Mosquitos During The Fall? We can all agree that Spring is be a pleasant season. The weather is warming up little by little. The flowers start to bloom, and kids are playing soccer and riding their bikes outside. Mothers start putting the jackets and sweaters to the back of the closet. Every once in while, Arizona will receive a little bit of rain, that can bring up the humidity. Luckily that humidity is about 50%-60% for only two to three weeks in the major cities of Arizona. Unfortunately, when there is a pinch of humidity, mosquitos magically appear. When the kids come home from a fun day of games, they come home with red spots. Mosquito repellent should control the mosquito situation for the spring and summer. Mosquitoes are drawn to hot temperatures. Summer can be fun most of the time, but the worst part about it is the mosquitoes. When fall finally arrives and we think we have gotten rid of the little devils, and we are sitting peacefully, watching TV, a small speck floats across the screen. The mosquitoes haven’t vanished quite yet. They are among the most annoying creatures in the world. They don’t know when to leave you alone. It nice to think that winter can freeze these little devils to death. However, mosquitoes will lay their eggs in the summer and survive the entire winter season. Those little fragile eggs can sustain the lives they carry through frozen water, and once it’s warm enough, they will hatch. The mother that laid the eggs is less likely to survive all winter, but she left her lovely kids to torture us in the spring. Despite that, there are adult mosquitoes that make it through the winter. They are smart and learn where to hibernate. In Arizona, there are only a few cities that receive snow and is considered winter. Other cities, like Phoenix, the weather doesn’t drop below 40 degrees. If I was a mosquito, I would hibernate in Phoenix, it is the less likely place that I would die during the winter. The mosquitoes that hibernate in the winter would usually pick a warm spot on the wall or ceiling and squat. Imagine one day walking into your Christmas cabin and see a flock of mosquitoes on the ceiling. Having a pest control company in Phoenix pay a visit to that cabin before moving in for the holidays, is good idea to avoid those red spots and squatting hibernating mosquitoes. For the families that are staying at home, having an exterminator search your house for mosquito eggs is an excellent idea. Mosquitoes are well know for the diseases they transmit. Recently, there is a virus that mosquitoes are injecting into human, the Zika virus. Remember those mosquitoes eggs that are hibernating in the frozen water, those will hatch in the spring or when it’s a speck of warm heat. A mother transmits everything into their offspring, including diseases. A mother mosquito can lay 300 eggs at a time! Spring comes around the corner and those 300 mosquitos would be very hungry. Contact Varsity Termite and Pest Control to take care of the mosquito problem before and after the holidays. That way, one can enjoy the holidays without having to worry about the annoying buzzing mosquitoes. Generally, mosquitoes are known to be spring and summer season insects. Now, you learned that mosquitoes are a year-round insect. Their season is still the spring and summer, but are slightly around in the fall and winter. There are a few mosquitoes that do die once the weather temperature hits about 50 degrees. Other mosquitoes, the hibernation species, start seeking refuge. Think of those mosquitoes like bears. There are bears that roam the countryside during spring and summer and hibernate during the winter. However there are bears that don’t hibernate during the winter. Mosquitoes have a similar concept. 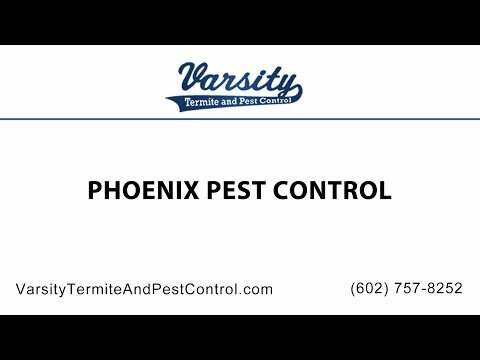 Varsity Termite and Pest Control has the best year-round service that can help you have a home mosquito free all year round. Should Arizona Termites be treated in Summer? Read the rest of Should Arizona Termites be treated in Summer?